September 24, 1929: “The Gumm Sisters” performed at a PTA Meeting in their hometown of Lancaster, California. No other information is known. 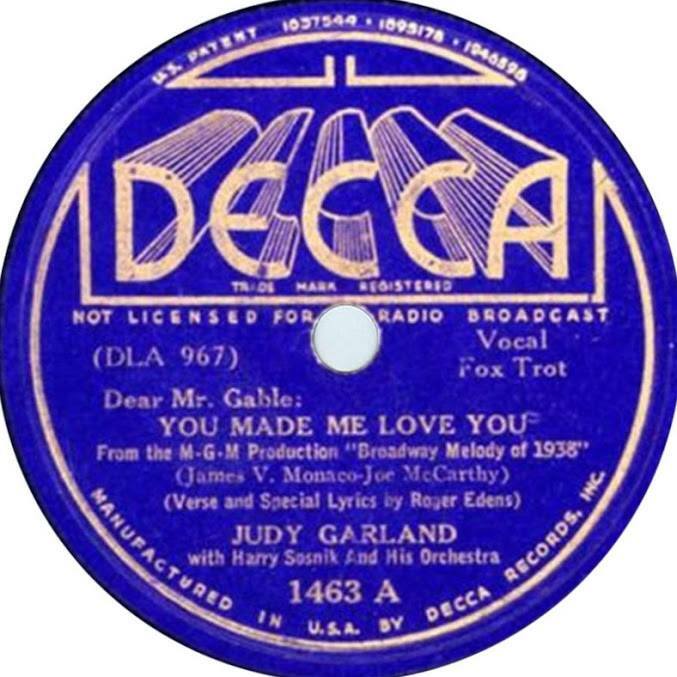 September 24, 1937: Judy recorded two singles for Decca Records: “(Dear Mr. Gable) You Made Me Love You” and “You Can’t Have Everything.” Spike Jones was the drummer for this session. “You Made Me Love You” was Judy’s first hit single and the first song to become identified with her by the public. The two songs were released in October of 1937 on Decca record #1463 with “You Made Me Love You” on the “A” side and “You Can’t Have Everything” on the “B” side. Photo of the Decca label for “(Dear Mr. Gable) You Made Me Love You” provided by Rick Smith. Thanks, Rick! 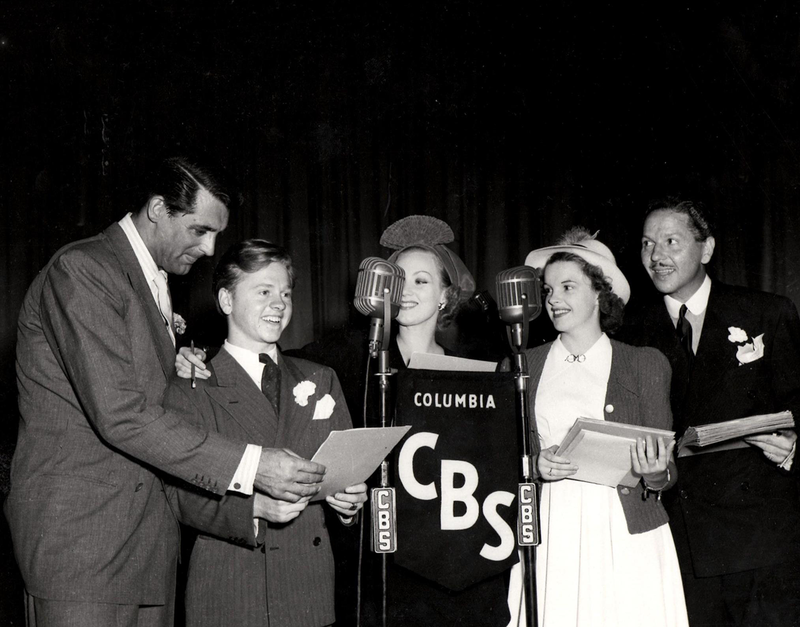 September 24, 1939: These photos were taken of Judy with Mickey Rooney, Cary Grant, Ann Sothern, and Oscar Bradley, performing on the CBS show, “Screen Guild Theater.” Judy and Mickey performed “Good Morning” and “God’s Country,” promoting the upcoming release of Babes in Arms. 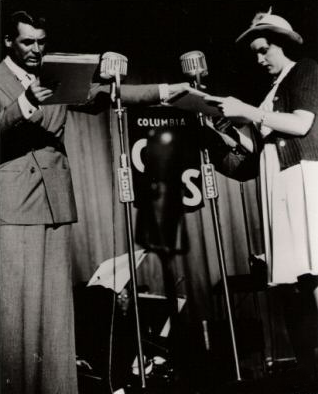 September 24, 1939: Judy became a weekly regular on “The Pepsodent Show Starring Bob Hope” on NBC Radio. 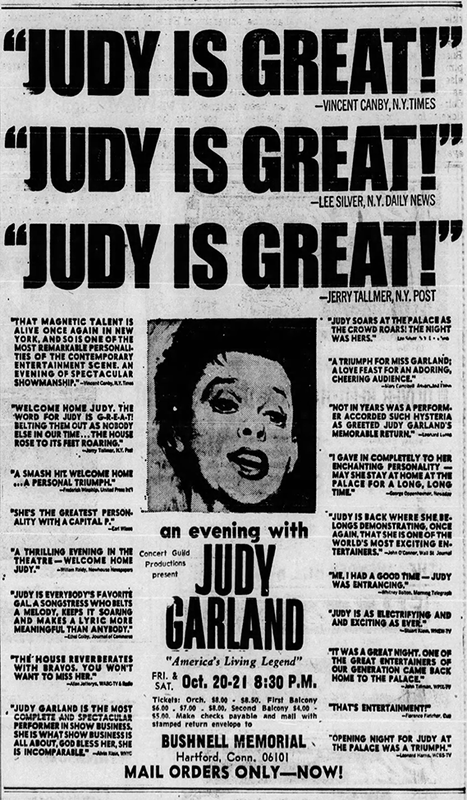 Judy’s first appearance as a regular took place on September 26, 1939. 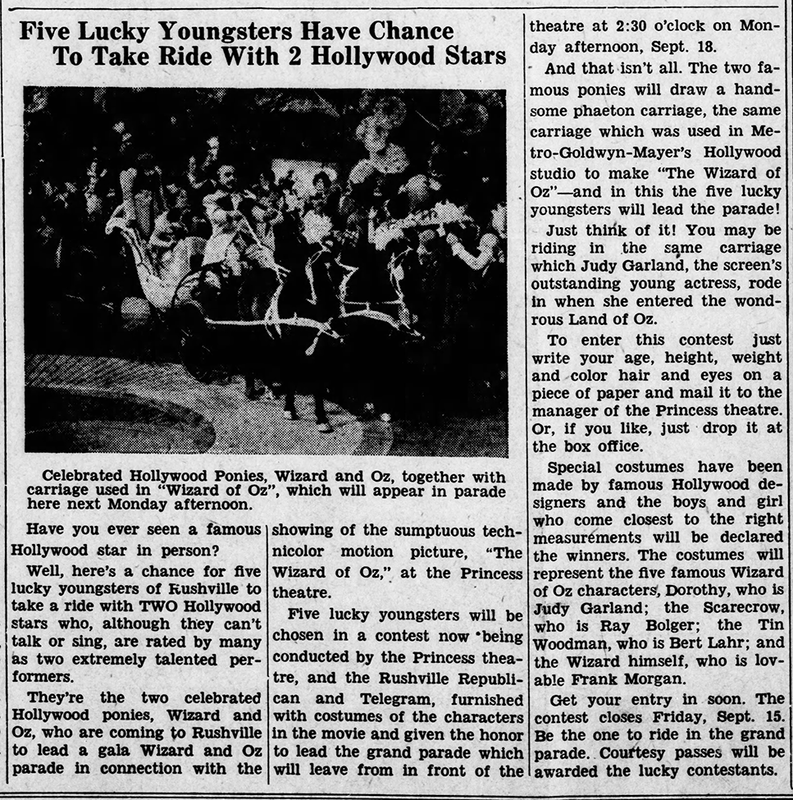 September 24, 1939: Here is a promotional photo (top left) taken at MGM of Judy and Mickey Rooney with the “Munchkin Carriage” that Judy rode in, in Munchkinland Musical Sequence of The Wizard of Oz. 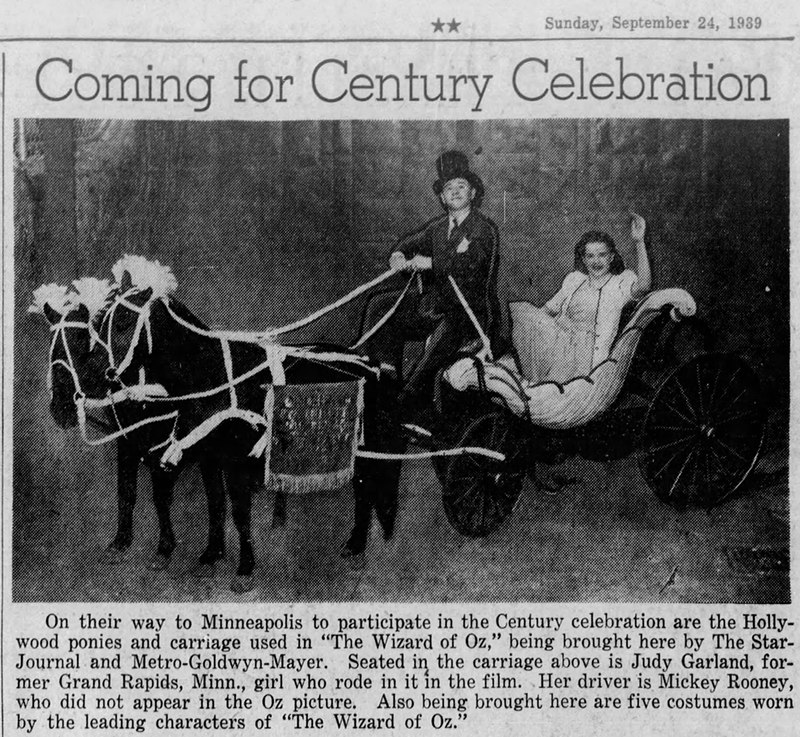 Although the caption notes that Judy and Mickey were on their way to Minneapolis, Minnesota, for their “Century Celebration,” that did not happen. Judy did not travel back to Minnesota until the state’s centennial celebration on May 11, 1958. 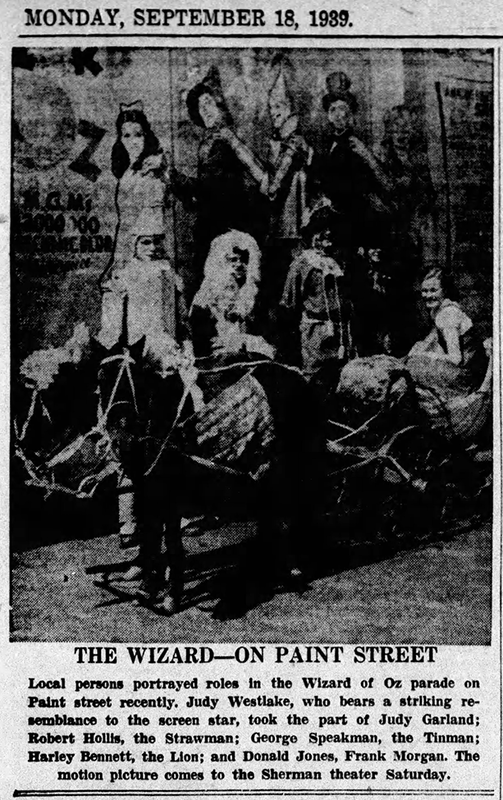 The carriage and other items from The Wizard of Oz were touring the country as part of an “Oz Caravan” promoting the film. Judy and Mickey did not take part in the tour. 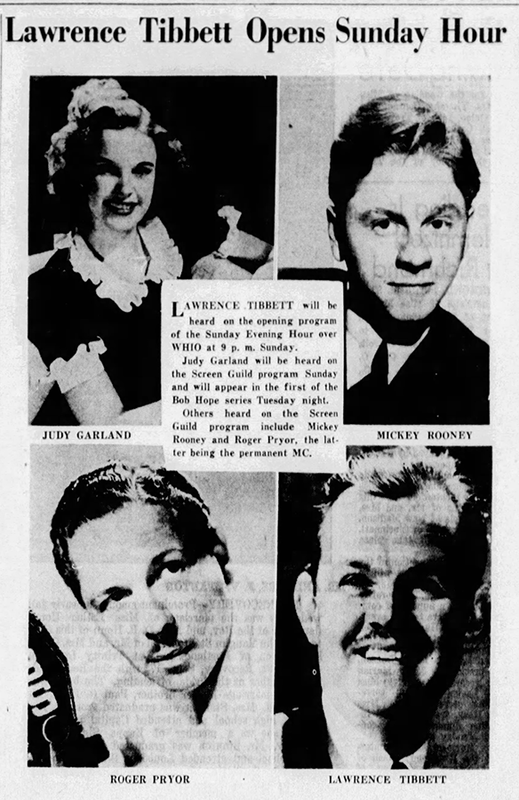 September 24, 1940: Judy sang “Over The Rainbow” with Harold Arlen at the piano, at the Golden Gate International Exposition (World’s Fair) at Treasure Island in San Francisco. 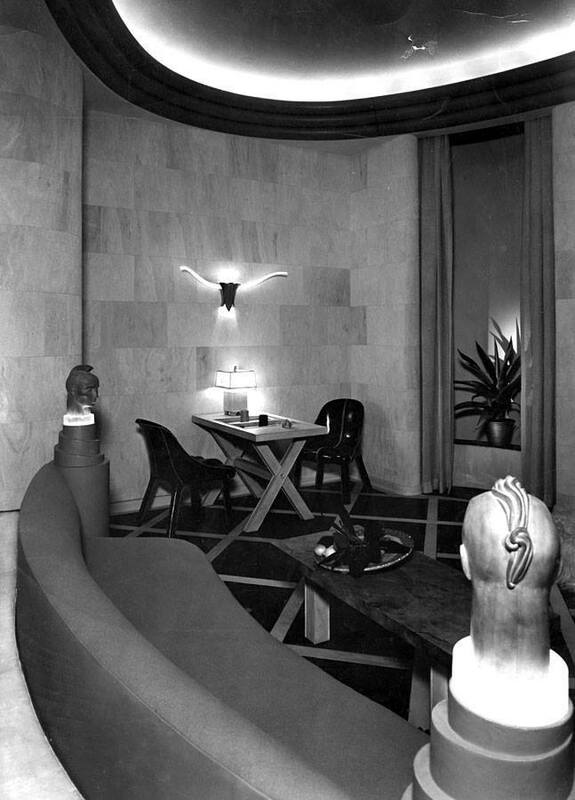 Side note: The former MGM silent film star, William Haines, had an interior design exhibition at the fair, part of the “Decorative Arts” pavilion, that featured a “Desert Living Room” which put him on the map as THE modern interior decorator/designer. 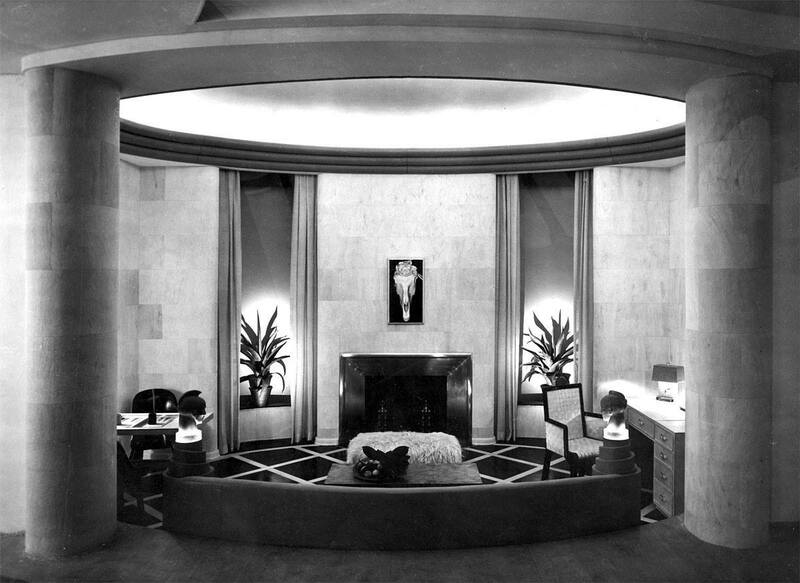 He became such a huge success that when Warner Bros. made A Star Is Born they modeled the Norman Maine/Vicki Lester home after Haines’ designs, and Warner Bros. studio boss Jack Warner’s screening room which was also designed by Haines. They wanted Haines to design the set, but he was too expensive and probably wouldn’t have done it. He did the set design for one film in the late 30s and had such a bad experience he swore he’d never do it again. 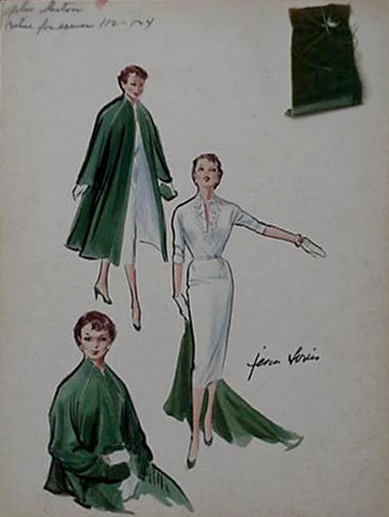 However, his “Moderne” designs were all the rage and he was in high demand. His furniture and brick-a-brack are still in high demand, especially with collectors. 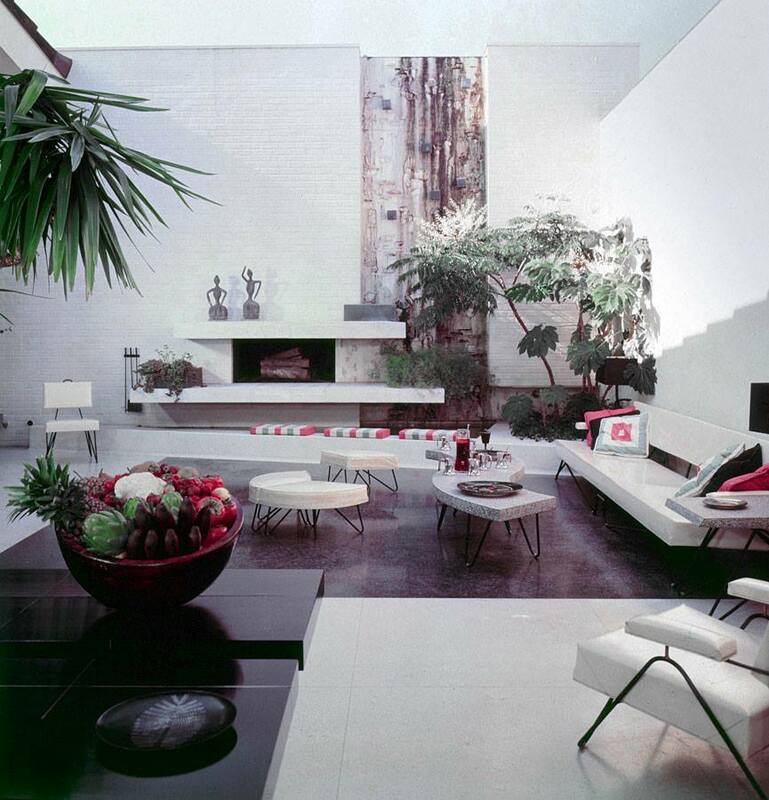 Photos: Mixed in with shots from the A Star Is Born set are (1) Haines’ living room for the (Frances Lasker) Brody House (1951); (2) Warner’s screening room (photo date unknown); (3) the “Desert Living Room” from the World’s Fair. 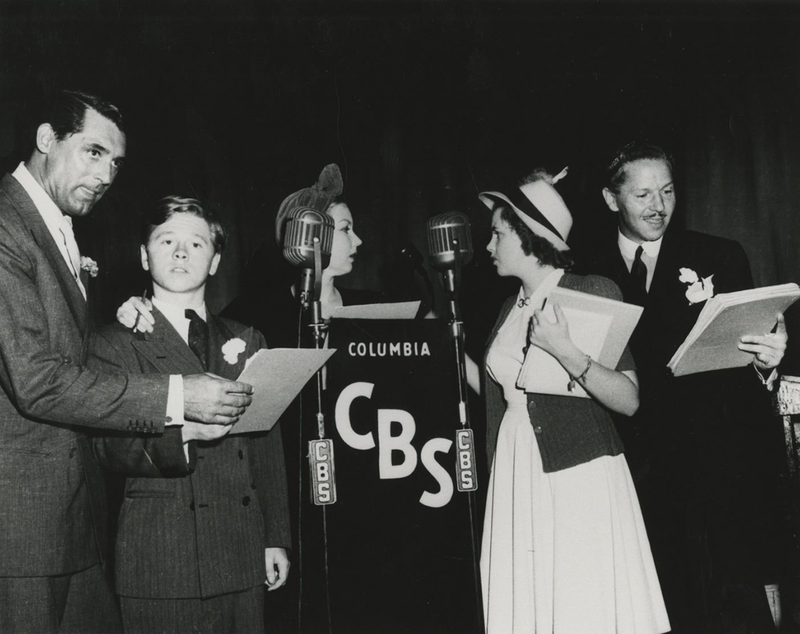 September 24, 1941: The second and last day of the pre-recording session of the “Finale” sequence for Babes on Broadway. 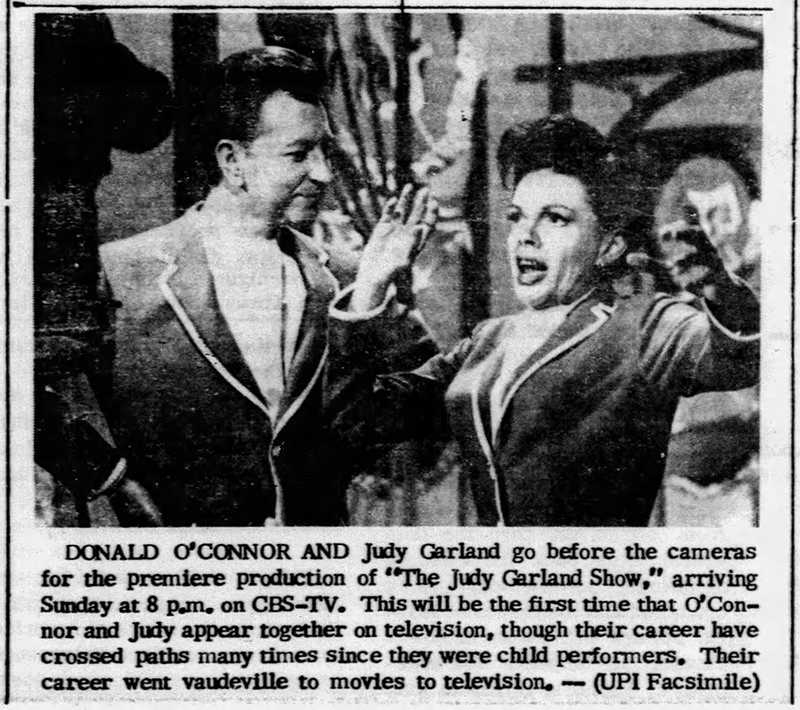 Judy was joined by co-star Mickey Rooney and the rest of the cast for the recording session. 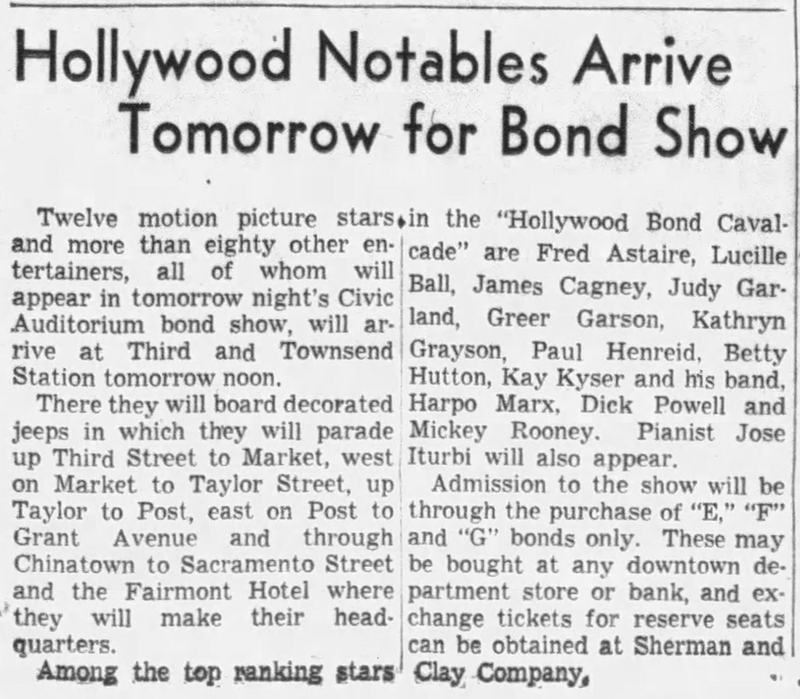 Time called: 10 a.m.; Judy arrived at 10:30 a.m.; dismissed: 12:15 p.m.
September 24, 1943: Judy and the rest of the stars who were a part of the “Hollywood Cavalcade” were scheduled to arrive in San Francisco on September 25th. 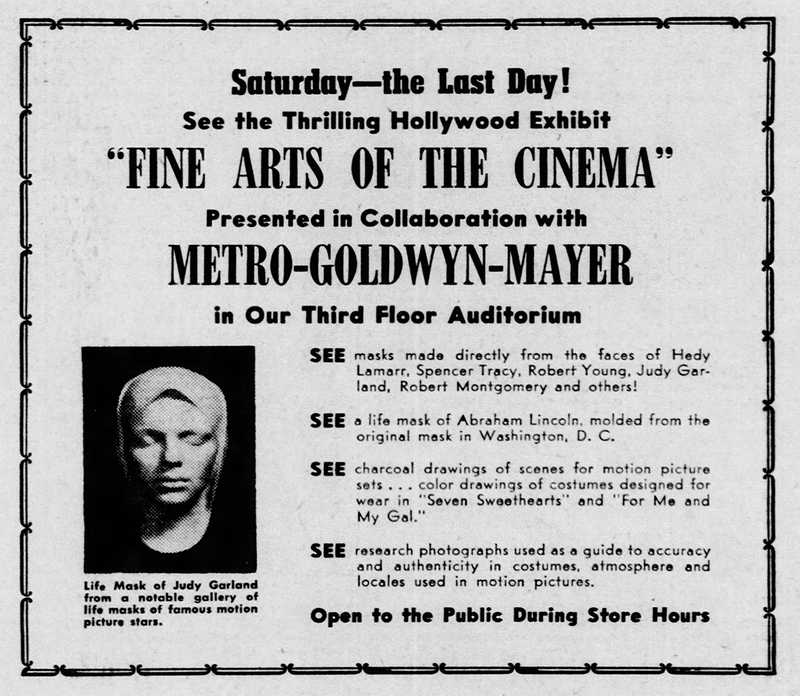 Also, here is an ad that features the “life mask” of Judy that was part of the traveling show “Fine Arts of the Cinema” from MGM which featured “life masks” of the stars along with costume sketches and other items. Some of the life masks were seen in an MGM short from 1964 about make-up in the movie, but Judy’s mask wasn’t one of them. The fate of Judy’s mask is unknown. September 24, 1948: Judy’s first day of work on her encore performance of “Johnny One Note” for Words And Music. 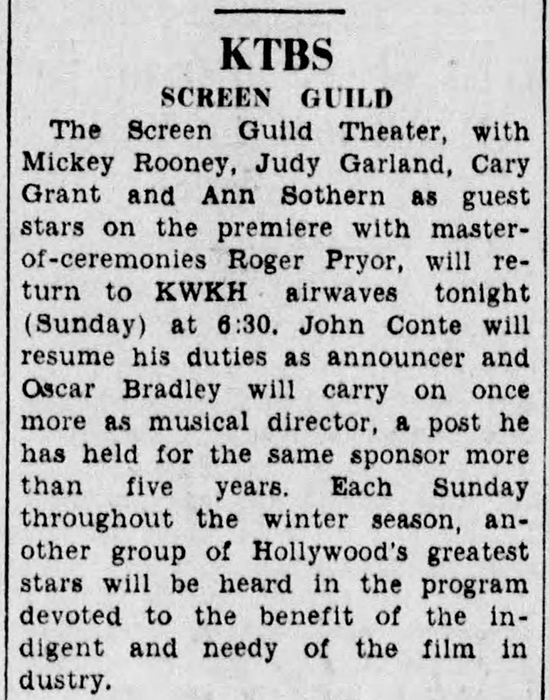 Judy had previously filmed “I Wish I Were In Love Again” with Mickey Rooney but after the film’s previews, audiences wanted an encore. MGM called Judy back to the studio. In the interim Judy had started work on The Barkleys of Broadway but was unable to complete it due to her precarious health. She rested and gained some much-needed weight which is noticeable in Words and Music. 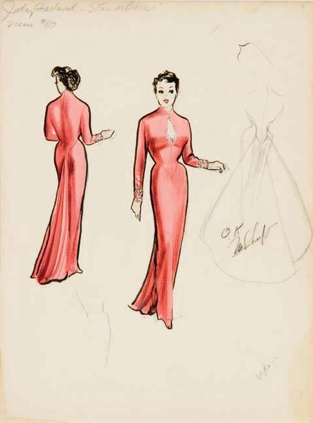 On this day, Judy had wardrobe fittings and testing and rehearsed “Johnny One Note.” Time called: 10 a.m.; Judy arrived at 11 a.m.; dismissed 4:45 p.m.
September 24, 1950: Jinny Constance provided this review of the MGM Records soundtrack to Summer Stock for the Miami News. The “Burdines Record Salon” was the records department of the now-defunct Burdine’s Department Stores which was a chain of stores throughout Florida. In those days, most record stores had booths for people to listen to an album prior to purchasing. First, “Summer Stock” M-G-M Technicolor musical, co-starring lovable Judy Garland and dashing Gene Kelly, has been currently showing to capacity audiences at the Embassy Theatre. It is the “Summer Stock” swell musical score which M-G-M presents in record form, sung by the team of Garland and Kelly, which BURDINE’S places on their turntable. As you spin this 78 rpm or 45 rpm album, you will find that it contains some of the happiest, singable and gay tunes that have appeared on celluloid in many a moon. With music by Harry Warren and lyrics by Mack Gordon, the songs from “Summer Stock” are sure-fire hits, to cheer the hearts of millions and to set your feet to tapping! “Summer Stock” is a wonderful musical, bursting with infection songs and dances, happily combined with heart-warming story. Judy and Gene portray roles which are ideally suited for their extraordinary talents. They are brilliantly assisted by Eddie Bracken, Gloria De Haven, Marjorie Main and Phil Silvers. The vivacious Judy Garland is a farm girl whose rustic haven is invaded by a group of stock players, among them Gene Kelly. The troup [sic] moves in, lock stock and barrel, to rehearse a musical, and a frantic time ensues when the city thespians make a hilarious attempt at helping with the farm chores. Thus “Summer Stock” applies a new twist to the old musical routine, with plenty of amusing situations. 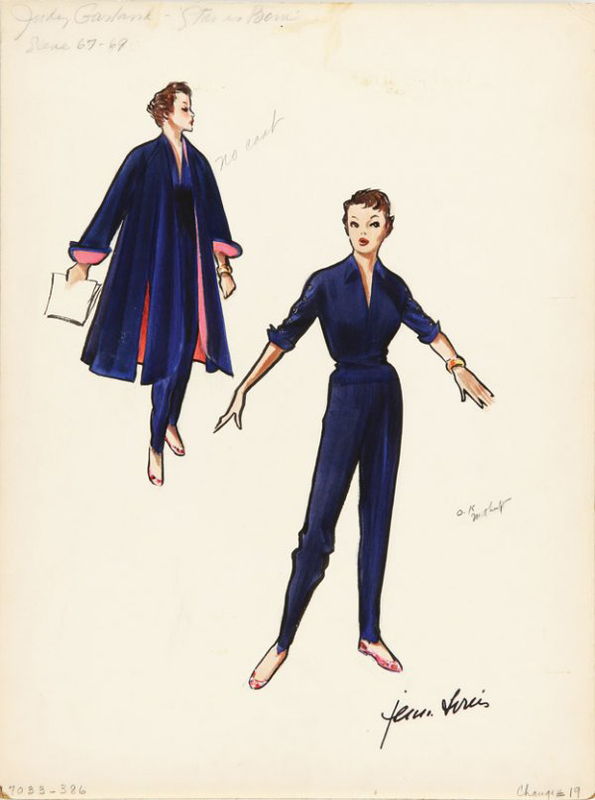 “Summer Stock” is a milestone in the career of it’s versatile star, Judy Garland. She celebrates her 15th year on the screen, and it was her 30th film. Musically, “Summer Stock” is sparkling and engaging. 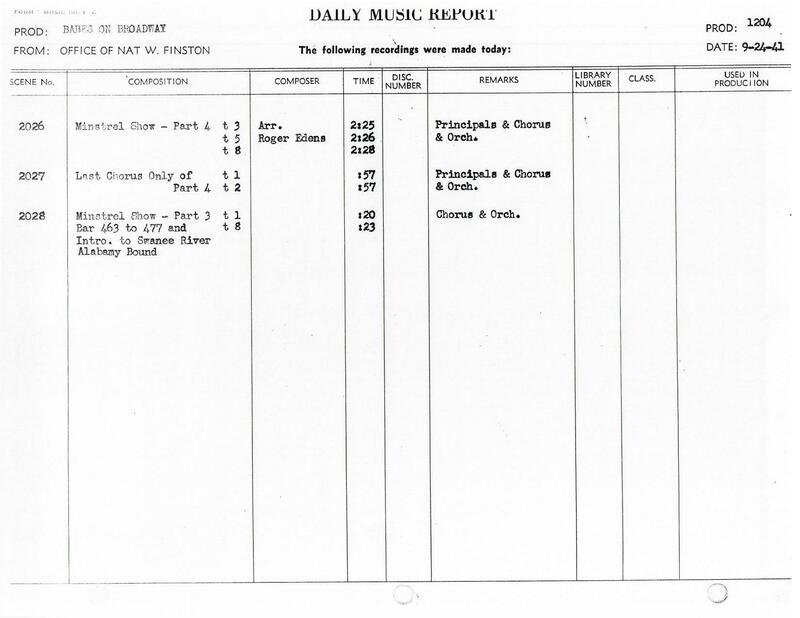 The majority of the music was written by the Warren-Gordon team, with special songs by Saul Chaplin, Jack Brooks, Harold Arlen and Ted Koehler. If you give these M-G-M platters a whirl in BURDINE’S Record Shop you will find that Judy’s singing of “Happy Harvest” is a catchy and sprightly tune, with extremely clever lyrics. We think “Happy Harvest” is a terrific production number, and with the famous Garland personality doing the vocals – it can’t miss! 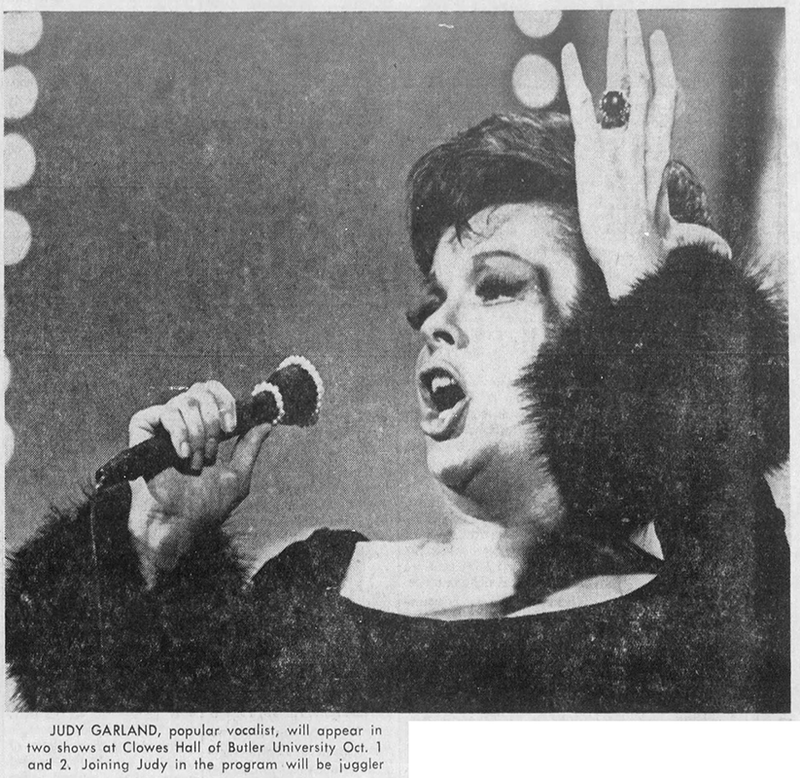 “If You Feel Like Singing, Sing” is another Judy Garland specialty. 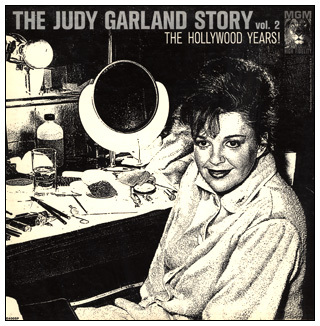 This tune, used in the much-publicized shower bath scene, borders on the novelty-ballad side, and Judy brings a sensational rendition to gladden your spirits. Other hits from “Summer Stock” include a new treatment of “Bali Ha’i” in the form of a pleasing duet by Gloria De Haven and Hans Conried entitled “Mem’y [sic] Island.” It’s a smooth, lush and atmospheric tune, with elaborate orchestration. 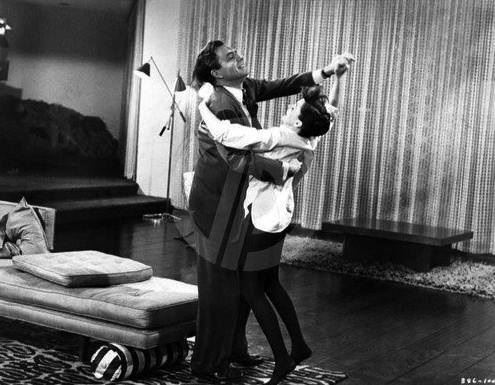 Gene Kelly’s solo, “You, Wonderful You” is sung to Judy, and later worked into a grand dance solo for Kelly. “Dig-Dig-Dig For Your Dinner” sung by Kelly and Phil Silvers is a novelty piece combining a preaching treating; “Heavenly Music” is typically a vaudeville routine for Kelly and Silvers. The song resembles the oldie, “Friendship” and is whipped into wonderful shape a la Spike Jones; “Friendly Star” Judy’s highlight song, is a simple, haunting melodic opus which is probably the most effective song in the film; and “Get Happy” which Judy sings is somewhat os a spiritual. It’s rendered with gusto and spirit. “Summer Stock” is a refreshing technicolor movie and the M-G-M recording, directing from the sound track, will create its engaging melodies for you in the privacy of your living-room. BURDINE’S heartily recommends this album for your leisure and relaxing moments – thirty minutes of care-free, enchanting and glamorous listening pleasure. 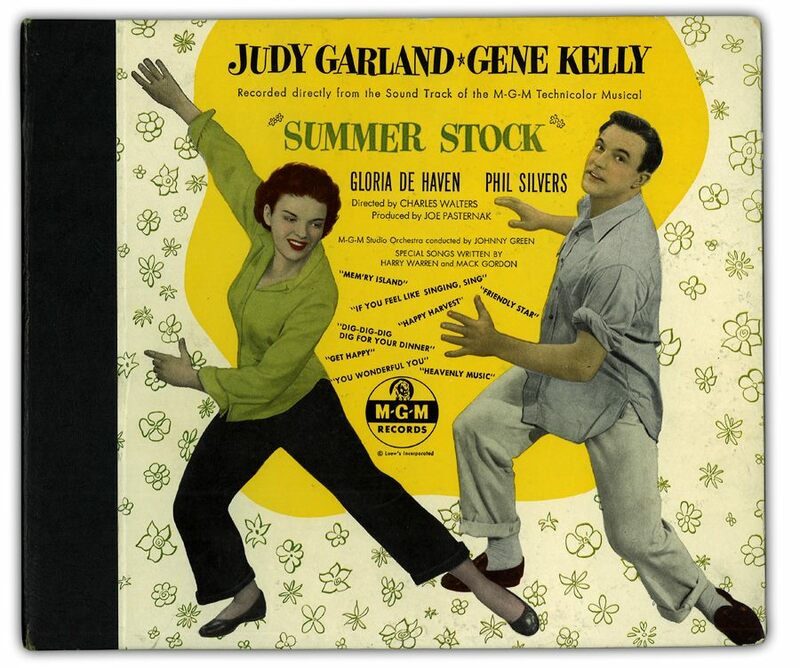 Check out The Judy Garland Online Discography Pages featuring all the issues of the soundtrack of Summer Stock here. September 24, 1953: Judy had unspecified “tests” for A Star Is Born. Time started: 8:30 a.m.; finished: 3:55 p.m.
September 24, 1955: Judy’s very first television special, “The Ford Star Jubilee,” premiered on CBS-TV. The 90-minute special was broadcast live from 9:30 – 11:00 p.m. East Coast time, (6:30 – 8:00 p.m. West Coast time). Due to this earlier West Coast time for broadcast to the East Coast, the West Coast saw a Kinescope. Judy also sang: “While We’re Young”; “Judy at the Palace Medley”; “It’s De-Lovely”; “Rock-A-Bye Your Baby”; and “A Couple of Swells” (the latter performed with David Wayne). The show was a hit, drawing an audience of 40 million. It cost $300,000 with $100k of that being paid to Judy. It was nominated for two Emmy Awards: Best Variety Special and Best Female Singer, but lost to “The Ed Sullivan Show” and Dinah Shore. Telegram sent to Judy from Lauren (Betty) Bacall and Humphrey Bogart wishing her luck with the show. Note that some of the ads shown in the slideshow above are from various Ford dealerships, TV stores, and one restaurant, who all advertised that they will have color television sets in their stores for patrons to view while hopefully making purchases. 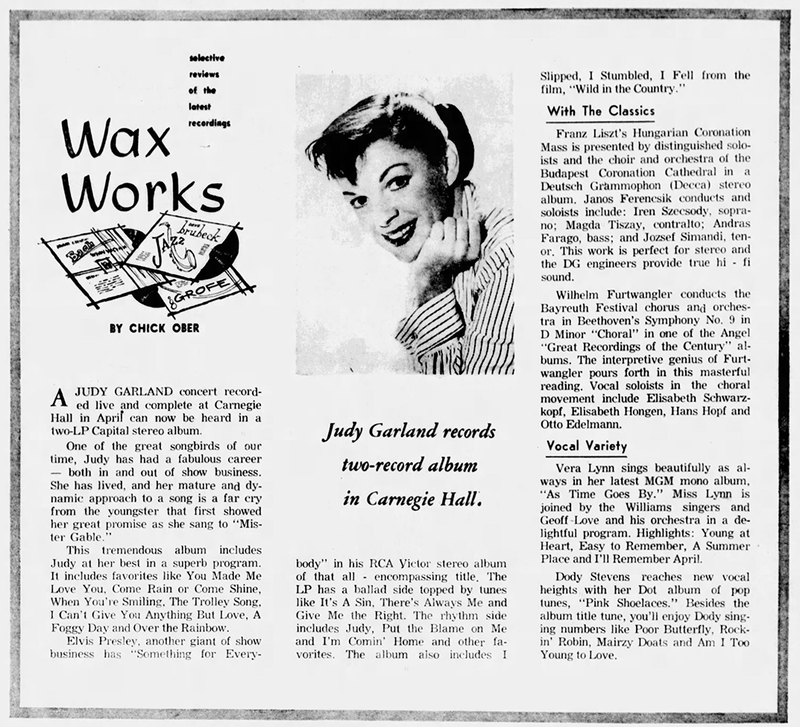 September 24, 1961: Two reviews of the recent Capitol Records release of “Judy At Carnegie Hall” which was the big hit of the season. The uncredited author of the second review definitely didn’t care for Judy’s fans who were all too audible on the records for him or her. 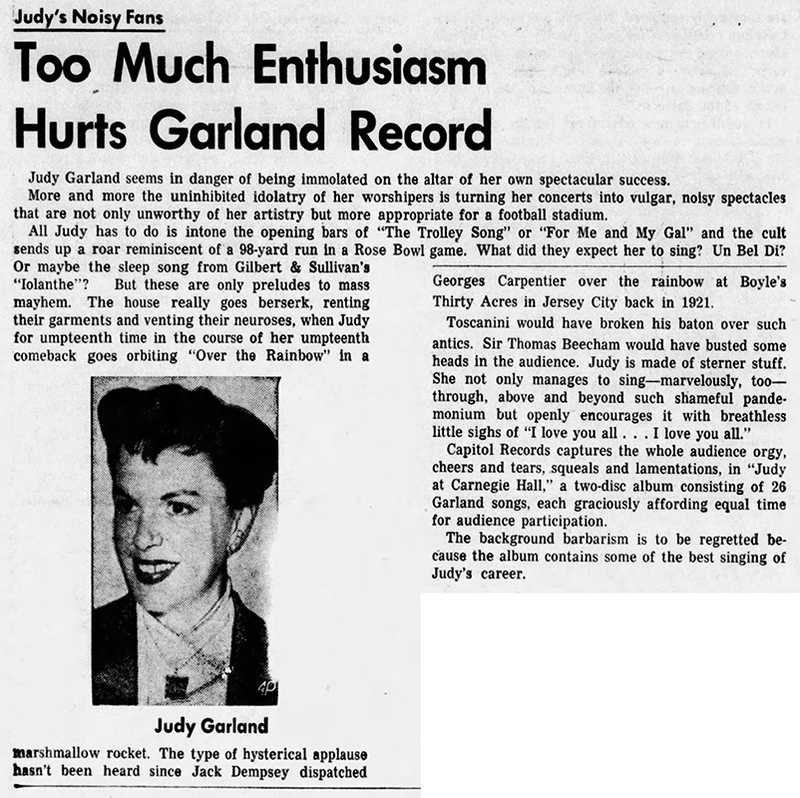 He/she liked Judy’s voice but seemed to not understand the kind of idolatry Judy received from her fans. 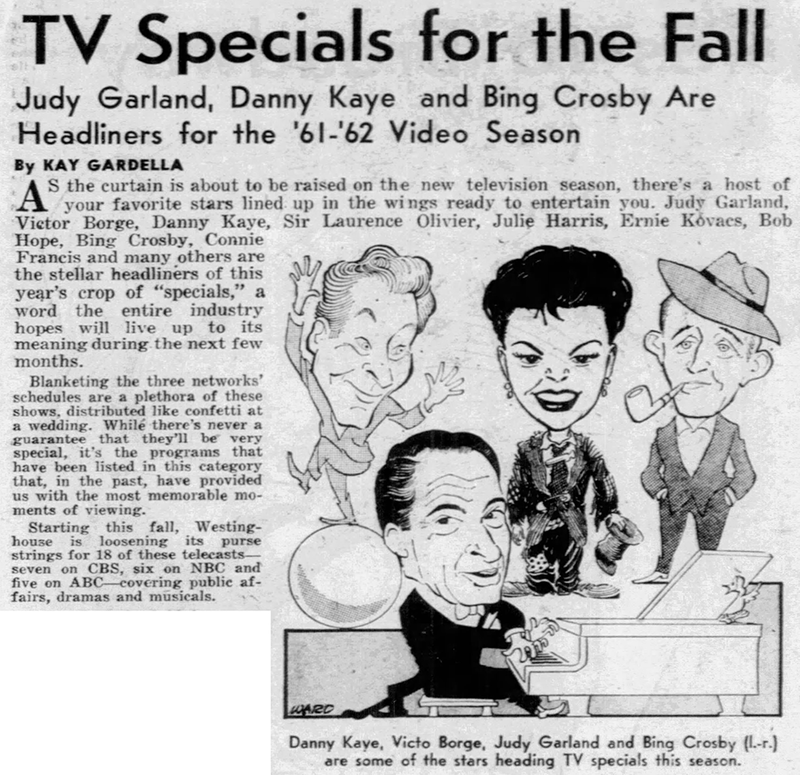 Also on September 24, 1961: Here’s a great caricature of Judy along with the notice that she would be returning to television in the 1961/62 season. She returned with guest Frank Sinatra and Dean Martin for “The Judy Garland Show” (not to be confused with her actual TV series of the same name in 1963/1964) broadcast on February 25, 1962. 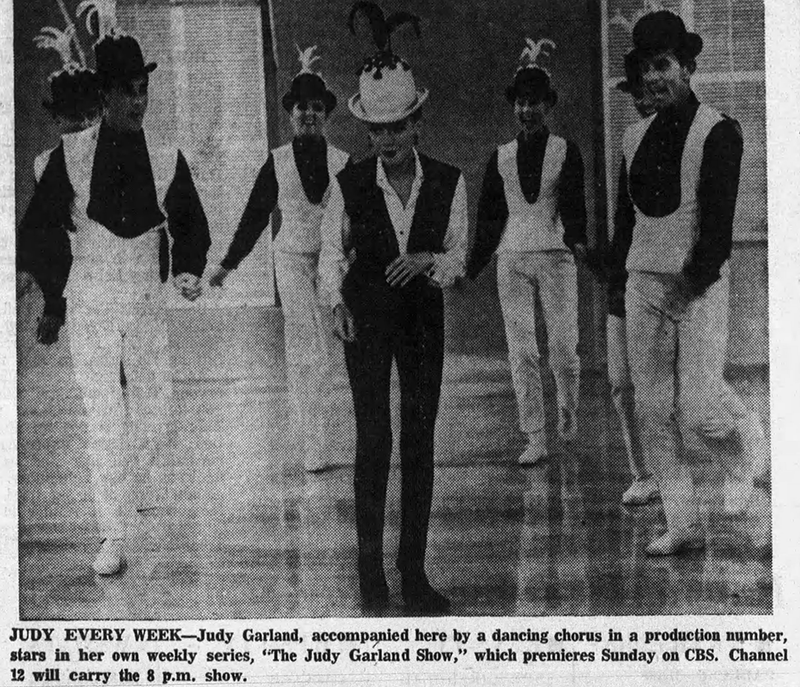 September 24, 1963: The premiere of Judy’s series, “The Judy Garland Show,” was coming in just a few days, on September 29th. 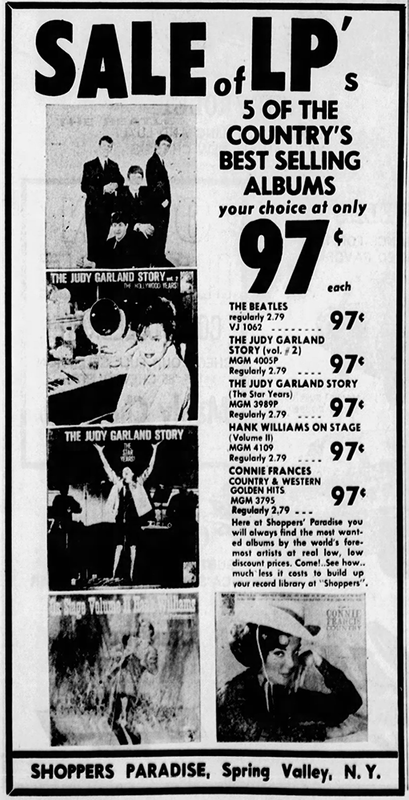 September 24, 1964: Here’s an ad for two albums from MGM Records which were compilations of songs from Judy’s MGM films. Volume One was released in 1961 and Volume Two was released in 1962. 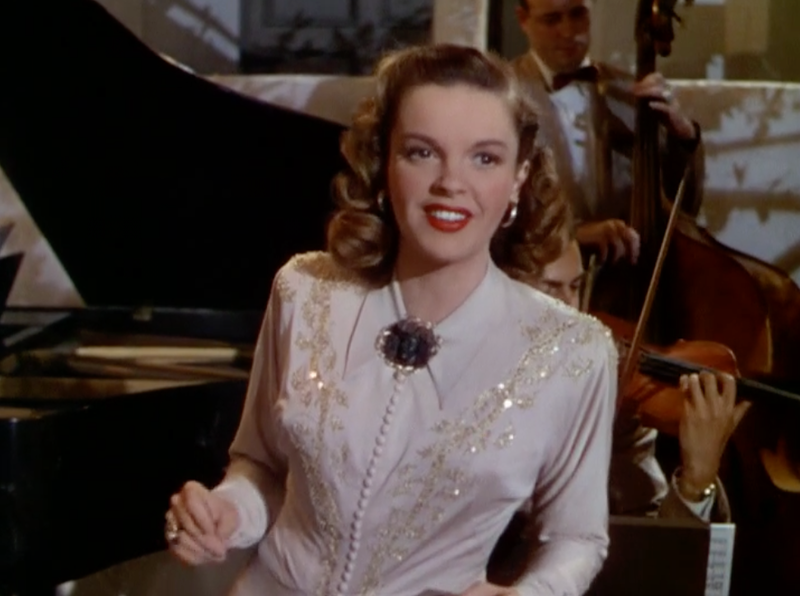 Of note is the fact that Volume Two included the premiere release of several pre-soundtrack-era (1947) performances taken directly from the soundtracks of the films, plus a few outtakes that were not identified as outtakes such as “Bei Mir Bist Du Schoen” from Love Finds Andy Hardy (1938) and “Danny Boy” from Little Nellie Kelly (1940). 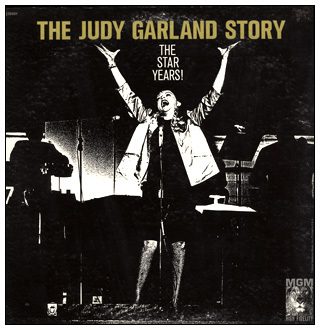 Check out The Judy Garland Online Discography’s “The Judy Garland Story Vol 1” page here. 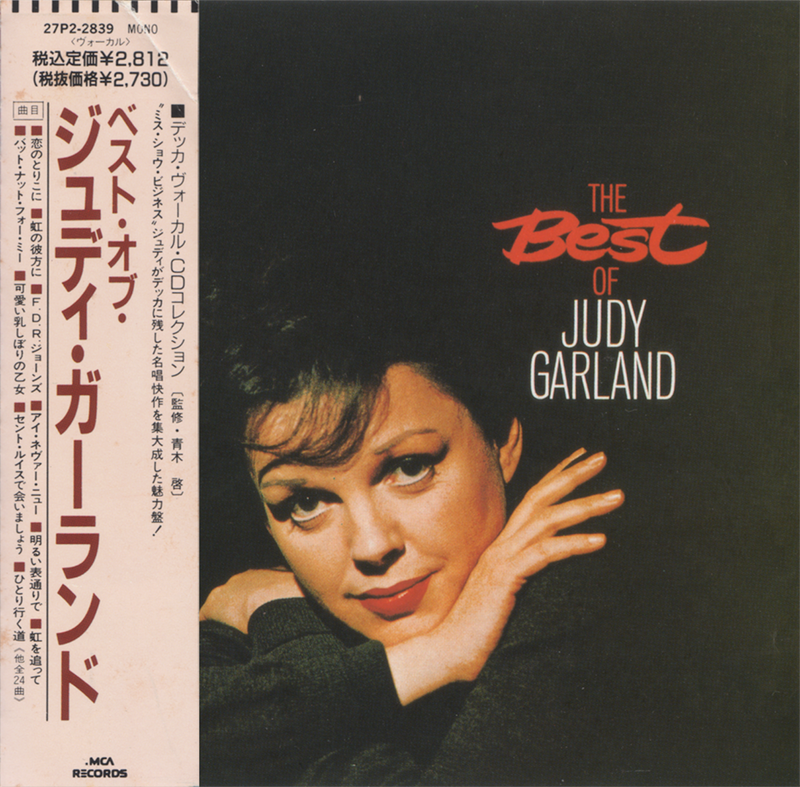 Check out The Judy Garland Online Discography’s “The Judy Garland Story Vol 2” page here. September 24, 1967: Judy was enjoying success with her “Palace Tour” which was headed for Clowes Hall in Indianapolis, Indiana, and the Bushnell Auditorium in Hartford, Connecticut, among other destinations. Regarding the “life masks” of the MGM stars from 9/24/43. Those life masks, including Judy’s, survived and were all on display in the shopping level of the MGM Grand Hotel in Las Vegas from its opening in 1973 until the great fire of 1980. I can only presume they were destroyed by the fire. However, some must have survived because the plaster make-up mask of Spencer Tracy was still on display in the small Debbie Reynolds Museum in Vegas in the mid-1990s.